What is The SkyPilot Project? 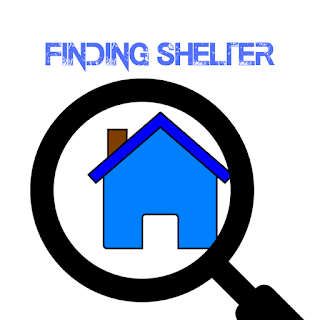 It is a non-profit project to promote the idea that low-income housing can have a positive impact on the families and individuals. The SkyPilot Project has a firm belief that it should be assisting low-income families with education, skill training, and showing them how to save money with the use of alternative energies. Such as wind, solar, and hydrogen power as well as education that will show them how to use their money wisely. The SkyPilot Project also supports the LGBTQ Community, as well as Equal Rights, and Human Rights for all. What is one of the main goals for The SkyPilot Project? 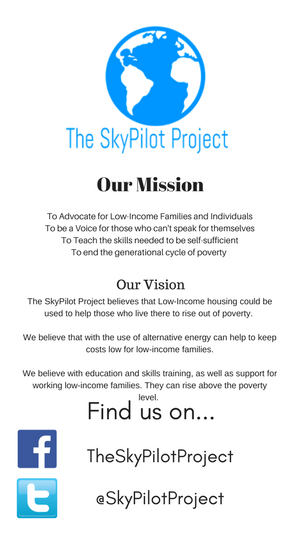 The SkyPilot Project has an ultimate goal of one day building a low-income apartment complex that is dedicated to helping low-income families and individuals reach their true potential. This complex would use alternative energies such as wind, solar, and hydrogen power and gas. It would have programs that help working families and working individuals with daycare, medical, and skills training. Is this project going to take advantage of Federal monies to help with funding? The SkyPilot Project believes that it must be a leader in showing how being self-sufficient enables people to have more individual freedom. So The SkyPilot Project Does not take any Federal, State or Local Government Funding of any kind. How can this project be self sufficient if not using Federal grants/loans? We want to use alternative energies and one of the reasons for that is because this allows for financial benefits. By selling back the excess power produced by wind, solar, and hydrogen power. It creates a revenue stream that can be reinvested into the apartment complex. Is The SkyPilot Project on Twitter? Does The SkyPilot Project have a Facebook Fan Page? Yes we do! The SkyPilot Project on Facebook I to check it out and to become a fan, and tell all your friends and Family about it, so they can be fans too. How can you help The SkyPilot Project? We are always looking for volunteer writers for the website. Although at the moment we aren't taking donations, we don't have the 501(c)3 stuff done at this time, telling people about us will help us a bunch!